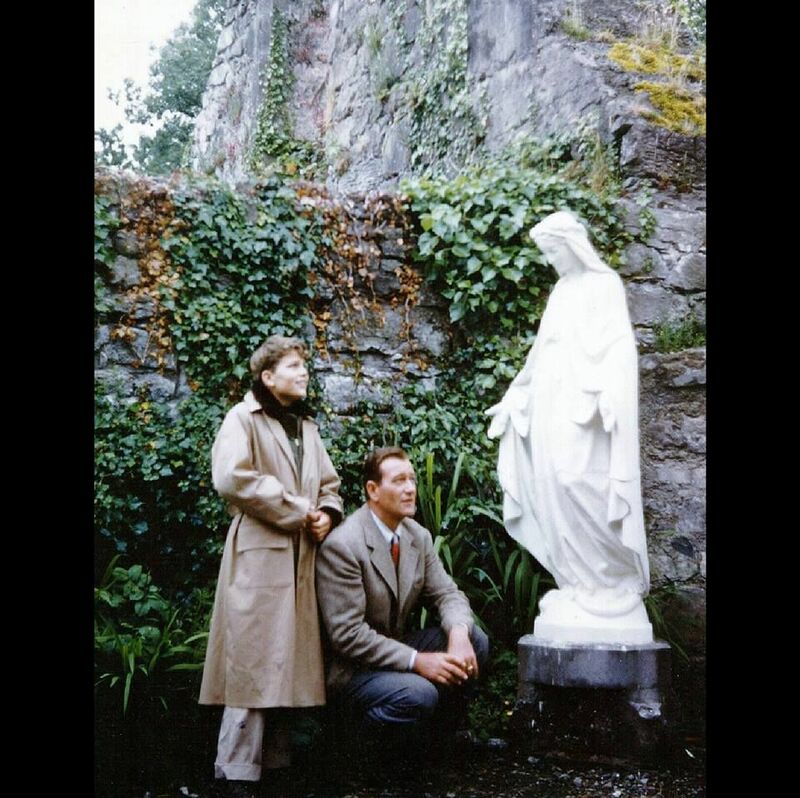 There’s a photo floating around the internet of John Wayne and his son, Patrick Wayne, with a statue of the Blessed Mother. John squats in front of the statue, while his son, Patrick, stands. They both look reverently up at the statue. 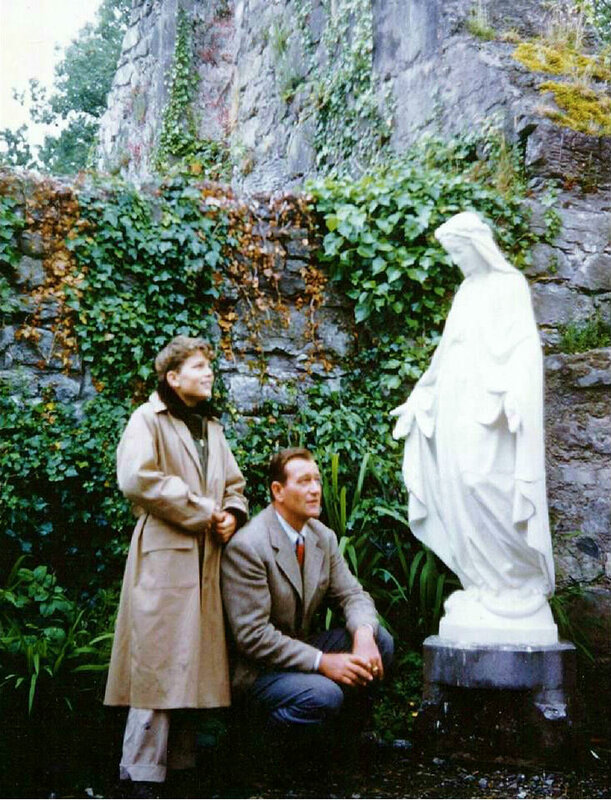 The photo was taken in Cong, Ireland, while filming The Quiet Man. 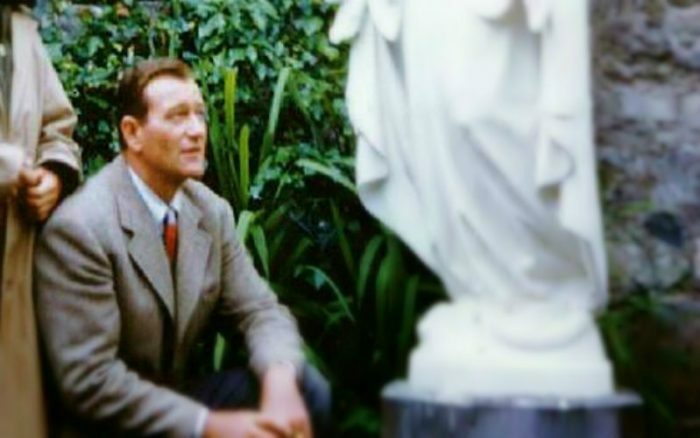 According to the original Pinterest post, this photo was taken in the early 1950s while filming “The Quiet Man,” which was almost three decades before John Wayne’s conversion to the Catholic faith. John Wayne’s first wife, Josephine, is Patrick Wayne’s mother. She prayed for many years for the conversion of her husband. She did not remarry until after his death, because she knew her marriage to him was still valid in the Catholic Church. All four of their children were raised in the Catholic faith, and his grandson is even a priest! Even though we don’t know the story behind this photo, it is still a beautiful representation of the faith! But who knows, maybe thoughts of conversion were stirring in his heart?